As we recently discussed, the first official U.S. rules set forth by the Federal Aviation Administration regarding the commercial use of drones mark some progress in the development of these flying robots. However, although the first waves of regulations went into effect last month, there are still many concerns to be addressed, and questions that have been left unanswered. In an interview with Forbes contributor Steve Banker, ARC's Rick Rys offered some insight into how drones are going to affect supply chain and manufacturing specifically. According to the source, one of the biggest trends impacting the evolution of drones is how quickly developments are being made - a speed that is making it difficult for regulators to keep up. And there has also been some variance among different countries. For example, Rys pointed out that, while the FAA's Part 107 rule makes it easier for commercial organizations in the United States to start a drone business, the opposite is true for areas like Europe. Furthermore, as of right now, the Part 107 law makes it so that drones can only be flown during the day and only as far as the eye can see (literally, they can't go higher than 400 feet) - which means that retail supply chains aren't going to be able to make commercial drone deliveries to consumers under this rule. Incorporating drone systems into the fulfillment and delivery supply chain has been a much talked about and anticipated capability among organizations across the globe. However, this isn't going to be possible until the FAA develops better guidelines and regulations for such activity. Or, rather, until limitations are put in place that ensure these operations will be completely safe. Of course, it is not that drones haven't already played a role in supply chain processes. As the source pointed out, many manufacturers have already begun using the machines - and other robotic automation processes - in warehouse facilities for a wide range of functions, including inventory management. The last item, the expert explained, is expected to become especially useful because drones are able to take 3D photos and imaging views of buildings and structures - providing advanced technologies and efficiencies that were otherwise unavailable or would take longer to complete. As with all things digital, the conversation can only go on for so long before the issue of security comes up. And drones are no different - especially when it comes to their imaging and videoing capabilities. As Rys touched on briefly, some organizations are concerned about competitors using drones to obtain intelligence on them. Furthermore, although there are many industries that could experience a competitive advantage by leveraging this technology (the real estate market is one of the primary ones that comes to mind), existing restrictions limit those benefits. For example, as Today's News-Herald pointed out, the new Part 107 rules makes it so drone operators are not allowed to fly the machines over uninvolved parties - which, of course, seems to kind of "limit [the] usefulness [of drones] at many events." Considering the influx of drone operator applications the FAA is expecting to receive over the next year or so, it is likely that the agency will face increased pressure to develop better, more specific guidelines for commercial use of drones - and that we will continue to see how this technology influences supply chain and manufacturing operations. However, even if it won't be an immediate change, it is important for organizations to tread carefully in adopting any new technology or system - including drones - into their processes. Will drones benefit retail supply chains? 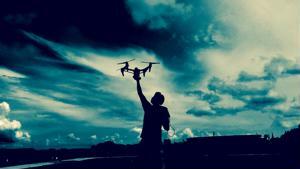 In an article for Supply Chain Digital, Paul Galpin touched on the point that, while the idea of making drone deliveries is an exciting one - especially for retailers competing to improve delivery times and enhance customer service - it is one that shouldn't be jumped into prematurely or without considering the effects it could have on existing areas of the business. For example, Galpin argued, by accelerating too quickly toward this modern solution for delivery, retail supply chain managers run the risk of overlooking the more immediately pressing, day-to-day tasks and challenges plaguing their organizations. In this event, the attempt to gain a competitive advantage would actually backfire - and possibly even hurt the success and performance of a company.